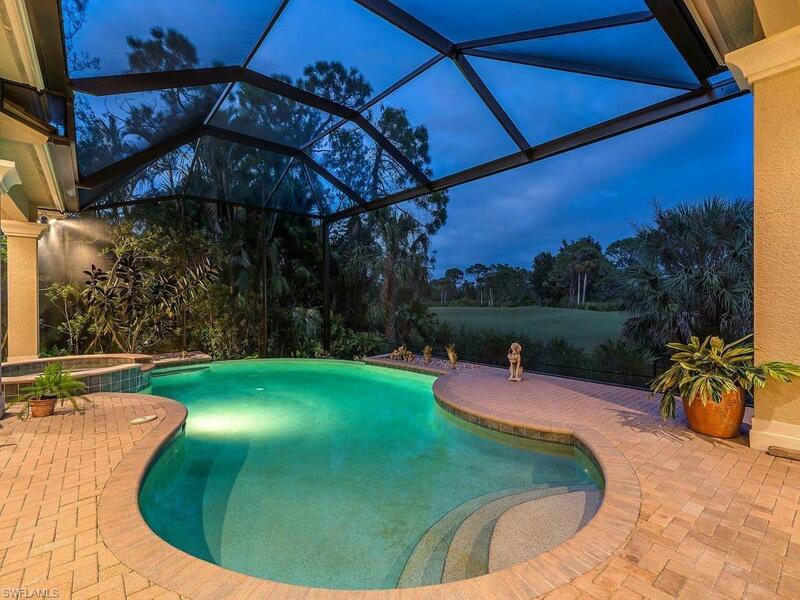 999 Barcarmil Way, Naples, FL 34110 (MLS #218031012) :: Clausen Properties, Inc.
H.13116 - BUYERS, TAKE NOTE! SELLER PAYS $40K TOWARDS BUYER'S GOLF MEMBERSHIP PURCHASE. 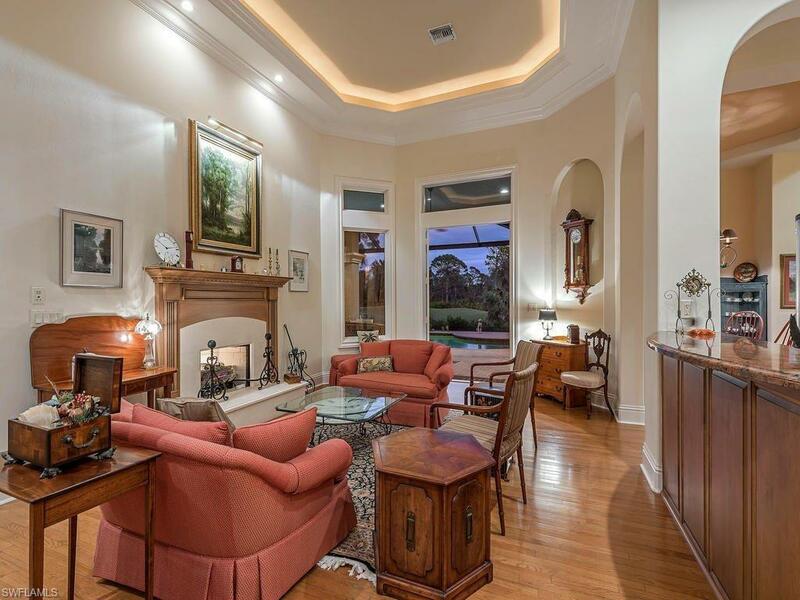 Don't miss out on this fabulous GOLF VIEW estate framed by a natural preserve. The home's single-story design w/spacious rooms lives large inside and out, letting beautiful fairway vistas in along with an abundance of natural light. Imagine your family enjoying the expansive lanai w/ample covered seating & lounging areas, sunny infinity edge pool w/spa, gas heated, gas line for your poolside BBQ, and pool bath. The new wide-panel Picture Window screen enclosure enhances your golf vistas w/in the private setting of hole #9. Indoors, the seamless living area is complemented by 3 BRs all w/private en-suite BAs, an office + a powder bath. The chef's island kitchen w/gas cook top, double ovens & walk-in pantry is the heart of the home; the adjacent butler's pantry w/wet bar includes a fridge & 2nd dishwasher. High tray ceilings w/rich crown, gas fireplace, custom wood cabinetry, granite & marble counters, top-shelf appliances...luxuries abound. An over-sized 2.5 car garage has a separate golf cart bay plus A/C storage. 1.5 miles to Vanderbilt Beach; excellent shopping & dining just outside the gates.